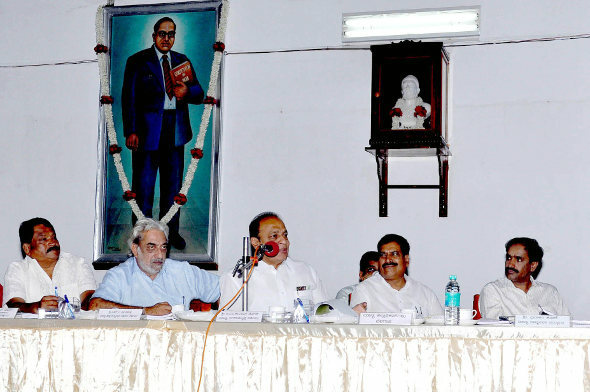 Minister was addressing the officials at the Corporation office and he also visited BUDA before going to Hubli. Also the minister said that all corporations should upgrade their operations and their approach towards work and public at large. The minister urged the BCC to see that 100% revenue is collected. With connection to the 100 crore special grant given, he said that all the works under the schme should be completed soon. Later the Belgaum Chamber of commerce delegation also met the minister and gave a list of demands for the overall development of the city which included ring roads, rail links, over bridges etc. Amba Bhuvan to Killa Circle build a Fly over .If Road Widening is not possible.